She may not be boycotting the Oscars, or unleashing bitter attacks against the Academy for its lack of diversity, but Gina Rodriguez is rolling up her sleeves and taking action. The “Jane the Virgin” actress is weighing in on the growing Academy Awards controversy by launching a campaign to highlight the entertainers working hard to put Latino stories on screen. She said the Latino community – which has been mostly silent in the Oscars debate, and tends to be a lot less vocal and more fragmented than the African American community – can become a more powerful voice if it unites and supports one another. In the post, which she calls “#MovementMonday,” Rodriguez highlighted Golden Globe winner Oscar Isaac. 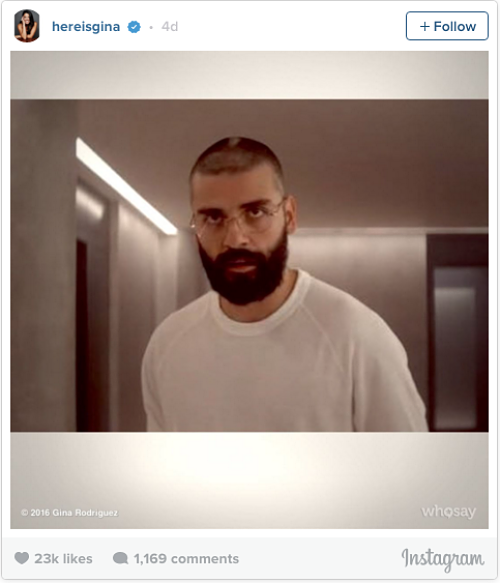 The Guatemalan-American actor starred in “Ex Machina”, “Star Wars: Force Awakens” and “Mojave” and received raved reviews for his roles in “Inside Llewyn Davis” and “A Most Violent Year” in 2013 and 2014. This is not the first time the Golden Globe winner called on Hispanics to take action.